Pictured is a still sealed Nintendo that I bought from a car boot sale. For me, this is where my romance with computer games began. 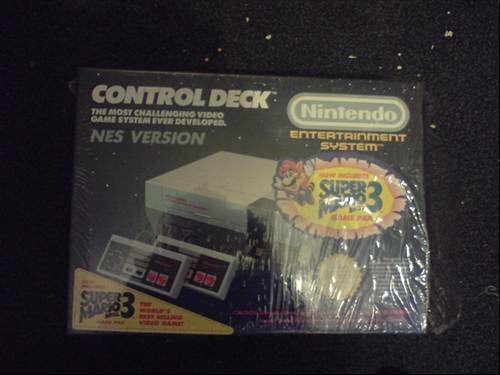 I was four years old and my brother and I saved up for the NES. We eventually got Gyromite, the Zapper with Duck Hunt and Mario Bros. I thought it was the greatest thing that had ever been created and I'm proud to say that I am Nintendo club member no. 0002 (my brother was no. 1). Over 40 million sold, this was a console that changed the face of home computer games and defined a new generation of gaming.